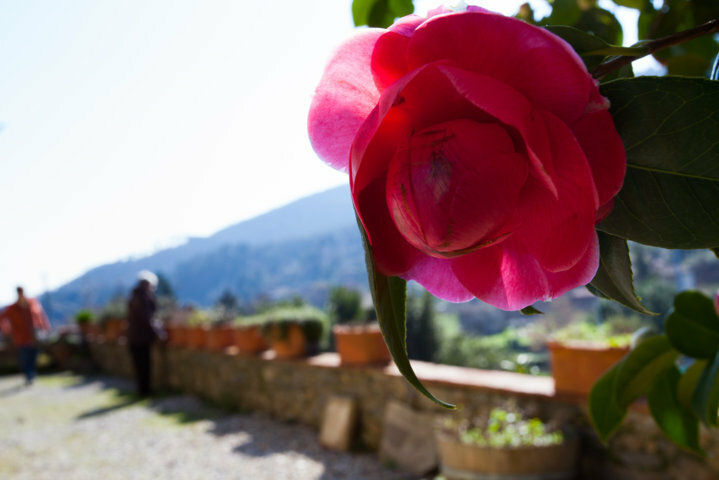 In the agriturismo park there are about 60 specimen of Japanese camellias from the ‘800s, 3 to 6 mt in height. These were planted around the mid 1800s and with a particularly suitable environment (acidic and well drained soil, good atmospheric humidity) have grown so much that have become trees. These camellia plants are reproduced by grafting or cutting and sold directly at the farm nursery. The most rare and important specimen are Md. Pepin, Drouard Guillon, Violacea Superba, Rubra Simplex and Alba Simplex. During the month of March, when the Ancient Camelias of Lucca exhibition takes place through the gardens and the streets of the village, it is possible to admire them in all their beauty, when the agriturismo park is coloured of pink, white, red and lilac.